Zoya PixieDust Fall 2013 Nail Polishes . 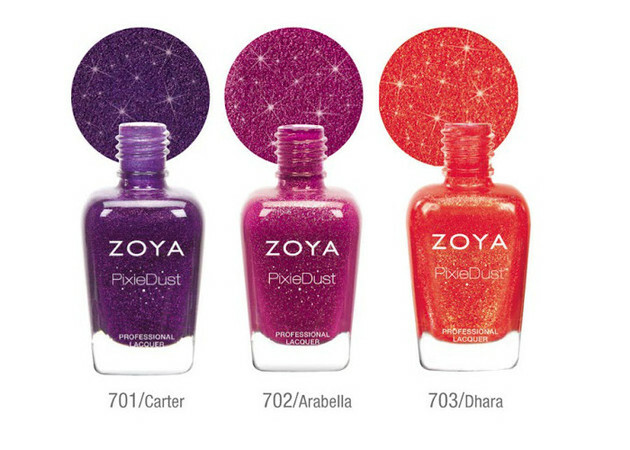 Round two of the Zoya PixieDust nail polishes will arrive this fall. 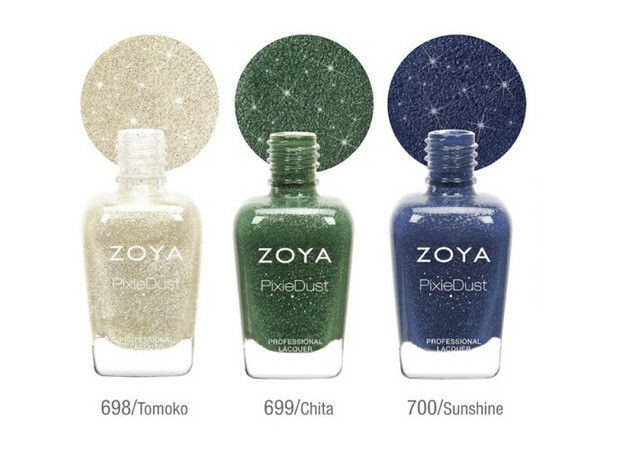 Earlier this year Zoya introduced the Spring PixieDust nail polishes which offered a fab textured matte glitter effect. The revolutionary formula proved a massive success, so this fall we'll be seeing a new set of amazing tones ready to make the transition to the new season style-wise as smooth as possible. Best of all, getting gorgeous nails is beyond simple. To get the covetable PixieDust effect, you only need to apply a one to three coats of nail polish and allow them to dry. That's it! While a base coat can be used, it's not necessary. Fans of the brand probably already know that the regular Zoya nail polishes are free of harmful chemicals. Though it might be hard to believe that it's possible to get trendy, innovative products without bending the rules a bit, the Zoya PixieDust nail polishes for fall 2013 are also free of toluene, camphor, formaldehyde, formaldehyde resin and dibutyl phthalate (DBP). The new Zoya PixieDust fall edition nail polishes will be available on the brand's official website soon. Each nail polish bottle will be retailing for $9.